On Saturday 26th and Sunday 27th September, 2015, Birmingham Museum and Art Gallery’s stunning Gas Hall will be transformed into a spectacular festival of fashion, with the arrival of the much-anticipated Style Birmingham Live. 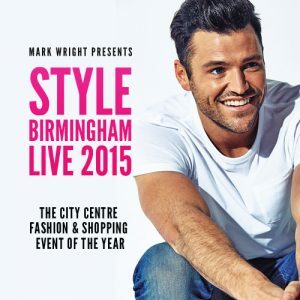 Featuring six catwalk shows across the weekend – all hosted by TV presenter and Heart FM DJ, Mark Wright – Style Birmingham Live will be an unmissable weekend of fashion, shopping and beauty showcasing the latest autumn/winter looks. Hi Mark! 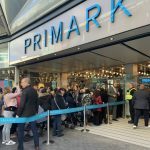 So, first things first, have you visited Birmingham before? If so, what do you like about the city and its people? Yep, I’ve been there before and I’ve always found the people to be very energetic, always up for a party and very friendly. It’s a great place for a night out. 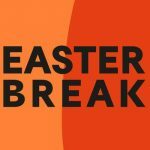 Where are your favourite places to visit in Birmingham? I really like to visit the bars and restaurants in the Arcadian and I also love to go and watch football as the fans in Birmingham are incredible. 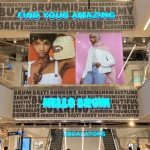 What do you make of Birmingham’s fashion scene? Well, what I like is that any city, any town now has the ability to make its own style. There’s more freedom for people to create their own trends and it’s OK to try new things and be bolder and more confident. People in Birmingham have that. I just buy the clothes I like that I know will look good on me but if I was to say there was one person who I think gets it right every time, it would be David Beckham. Whether he’s smart or casual, he always looks good. What’s the one item of clothing/accessory that you couldn’t live without? A good suit. It doesn’t matter if it’s off the rail from a high street shop or made to measure, every man should have a suit. It’s the one outfit that can instantly make you feel like you can take on the world. Have you ever had a fashion disaster? Probably when I was younger, but who hasn’t? We all learn as we grow up but you need that sort of stuff to learn from and look back on and laugh! You’ve done some modelling in the past – what tips would you give to people who are interested in a career in modelling? Just beware of the sharks – the ones that will charge you to create your portfolio of photos. If you truly have what it takes to be a model, a good scout will see that before looking at the photos. I’m not a model as such so none of it comes easy but I like to go to the gym and I’m careful about what I eat so if that means I’m asked to model from time to time, then that’s cool. A radio show, your own range of women’s fragrances, TV shows and live events such as Style Birmingham Live – you’re a very busy guy! Do you have any other exciting things lined up for the future that you can tell us about? I’m very lucky – I get to do the stuff I enjoy and every week for me is different. I love my Heart FM show and hearing from people about the music I’ve selected. Thankfully the TV stuff is going from strength to strength and we’re having some pretty exciting conversations about that right now but you’ll just have to stay tuned. I think I’m done in the reality TV world but I don’t think you can completely shut yourself off from any one aspect in TV because you never know what’s going to come along. Someone might come up with an amazing idea that I just have to be part of. But until then, it’s all about my own entertainment shows; The Gossip, Surprise Surprise, The Dengineers and the other one we’re currently developing.